The Epcot entrance is a great place to be for pics early in the morning. 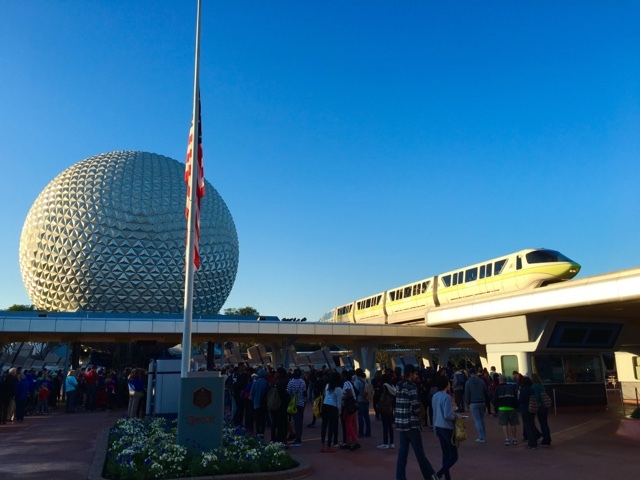 The sun angle is usually good for a shot of Spaceship Earth. Also, it shines on the monorail as it approaches the station, as you can see from this photo that I took yesterday.